Renato Pezzano – Musicista, Compositore ed Insegnante - Home. Renato Pezzano, musician, composer and teacher, works as a professional since 1994. Guitarist since 2007 the historical group of Tarantolati of Tricarico, is the founder of Caravaggio Blues Band, he has collaborated with artists such as Pino and Armando Mango, Roberto Ciotti, the Blue Stuff, Laura Valente and others, with the international festival Marajazz, with whom he worked as a stage manager and logistics with artists such as John Patitucci, John Scofield, Ivano Fossati, Dee Dee Bridgewater, Chick Corea, Jack DeJohnette, Pat Metheny. It has over a thousand live performances, from Enzymes rock festival in Bologna in Rome Meets the World at Villa Ada, from Bucharest in Revolution Square to Cous Cous Festivalin Sicily. From April to June 2003 is the teacher training course organized by the Computer Music Formedia. Has rearranged and completed the soundtracks of ‘What the hell Santo Antonio’, a play written and directed by Dominic Mastroberti and interpreted by the company Stoa Theatre, and always with the company Stoa composed entirely soundtracks of ‘The Ballad Of The Old Sailor ‘S. Coleridge, adapted by D. Mastroberti. He composed the soundtrack for the short film Happy Wine “The time of flowering” that won first prize at the International Film Festival in its power category, special mention to the Round of Rimini film festival, first prize at Dams Film Festival of Rome. Released the soundtrack albums THE COLOR OF THE WIND, a collection of songs and poems composed by Renato since 2001. It ‘was inserted with diploma in REGISTRY OF GUITAR TUTORS, and’ professor of EAR TRAINING AND TECHNICAL ENGLISH in the training course “Music, maestro …” for marching bands. Deals with educational seminars and clinics sull’effettistica and style of the electric guitar from the 50s to the present day. Published in December 2009 its first literary work “The soul in the hands” Freedom for Editions. He has recorded for Warner Chappel UNIVERSAL MUSIC and Italy, as well as hundreds of collaborations with independent labels. It ‘holds its own music school since 2000 and posted the video method “Playing in the style of David Gilmour”. He composed the music for cartoons and instructional DVDs of the European Community and the Basilicata Region (The magical journey of Luke, Basilicata Future_Today, Open Days 2009). Currently he is working with RAI TRADE, CREATIVE MUSIC, ITALIAN WAY MUSIC, Sifare SOUNDIVA and as a composer of music soundtrack, with the Basilicata Region for soundtracks of fables and DVD documentary for the European Community. And ‘present owner of an independent label music production, the TatoPilloRecords and is leading around the peninsula his master class in the style of David Gilmour. And ‘holder of the guitar school / studio preproduction GUITAR LAB and is currently working for the summer tour of MUSICAMANOVELLA, of Tarantolati OF TRICARICO and his trio Renato Pezzano and filibusters. next winter european tour in theather with Pink Sonic. guitar courses at the L.E.A.L.I. 2015 – Teaches in the ” school of modern music goes to school ” for the third year at the elementary school for the association of Pignola LOYAL , making recordings for the new album MusicaManovella ” Superheroes of advertising” by participating in the Tour next summer that has touched over 30 squares in southern Italy , was teacher of the course of composizone and sound within the project FAME , ARTIST ‘S SCHOOL for Euronet and the Basilicata Region , has composed and entirely played the soundtrack of the cartoon ” BASILIFIABA ” produced by Basilicata region and by Euronet for the European Union translated into six languages , composed and performed the soundtrack for the national advertising campaign brand AKITA jewelry. 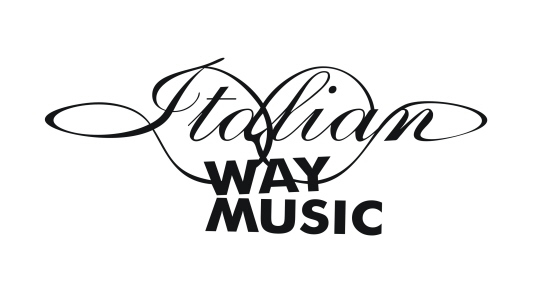 2014 – Sounds with MusicaManovella the May Day concert in Rome, live on Rai 3, concert which begins the tour in 2014 that will visit dozens of locations throughout Italy. Manages instrument courses and music is in the elementary school of Pignola is the headquarters of the FAIR. Participates in the project of the European community “FAME”, as part of Urban Visions, attending to the lectures of the courses and music composition and sound soundtracks of a cartoon translated into six languages, to be published by the association EuroNet, Basilicata region and the European Union in six European countries in six languages. 2013 – He organized and manages laboratories for teaching and basic education in listening at the elementary school of Pignola. And ‘appointed president of the cultural musical “FAIR” and organizes courses of acoustic and electric guitar at the Association and guitar lab. He plays the big concert of May in Naples, at Science City. And ‘the guitarist of the Summer Tour 2013 of MusicaManovella and Group I Tarantolati Antonio Guastamacchia. 2012 – E ‘professor and head of the school of guitar “Guitar Lab” in Potenza. And ‘it engaged in the dissemination of the style of David Gilmour with a round of seminars for Italy, is producing the third volume of the teaching method on David Gilmour in collaboration with the Forum for musicians MusicOff, and is committed to the tour 2012 and MusicaManovella Tarantolati of Tricarico. 2006 – 2004 He released the soundtrack albums THE COLOR OF THE WIND, a collection of their songs and poems composed from 2001 to the present. It ‘was inserted with diploma in REGISTRY OF GUITAR TUTORS, and’ professor of EAR TRAINING AND TECHNICAL ENGLISH in the training course “Music, maestro …” for marching bands. Deals with educational seminars and clinics sull’effettistica and style of the electric guitar from the 50s to the present day. 2003 – Professor of computer music and digital editing in a course organized by the province of Potenza at the APOF. Start the tour “The Road” by Raffaele German that will last for five years traveling throughout Italy, from Sicily to Trentino. 2001 -2008 – Opens and runs his own school of guitar “” LIANA “funded by the former Law 608” Loan of honor “to power. He teaches courses in music in elementary and middle school in Tolve (PZ) in collaboration with the tourist office. 1994 – 2000 It ‘professor of electric and acoustic guitar at the historic music school Don Bosco of power, teaches in private schools in Muro Lucano, Villa D’agri, Moliterno, Pignola, Tito.